On March 24, 2015 a low-cost Germanwings plane crashed in the French Alps en route from Barcelona to Dusseldorf. 150 people were on board the Airbus A320 plane, including 144 passengers and six crew members. According to President Francois Hollande, victims of the plane crash were mainly German, Spanish and Turkish nationals. German Chancellor Angela Merkel said German, French and Spanish authorities had agreed to jointly investigate the crash Airbus A320 passenger plane in southern France. 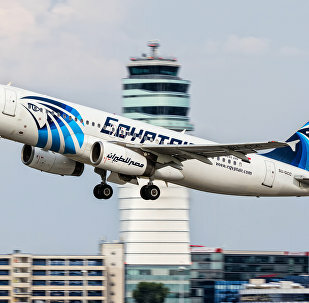 Egyptian authorities started on Saturday the process of handing over the remains of the victims of the EgyptAir Airbus A320 plane crash in the Mediterranean Sea, French media reported Saturday. A doctor recommended copilot Andreas Lubitz, who intentionally crashed a Germanwings passenger plane into the mountains in March, 2015, to be hospitalized two weeks before the accident, media reported, citing a draft report of investigation into the crash. 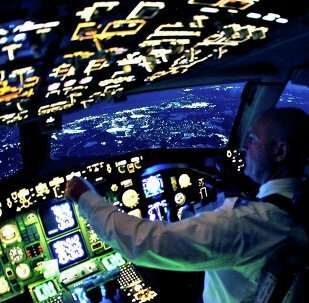 Pilots in Europe are up-in-arms over plans to liberalize global air transport, which they say could imperil safety in the skies. The prosecutor leading the deadly Germanwings Airbus crash that killed all 150 passengers, announced that the plane pilot saw more than 40 doctors in the last 5 years, making him completely unfit to fly the plane. The criminal investigation led by French authorities into the Germanwings A320 plane crash should not set a precedent for future probes into plane crashes, International Air Transport Association (IATA) Director General and CEO Tony Tyler stated on Tuesday at the annual IATA general meeting. The remains identification of 150 victims of the Germanwings plane crash in the French Alps in March has been completed, the Marseille prosecutor said in a statement on Tuesday. France’s BEA crash investigation agency has published a preliminary report on the Germanwings passenger jet crash in southern France. The US Federal Aviation Administration (FAA) temporarily denied in 2010 a medical certificate to a German pilot who is believed to have intentionally crashed a plane with 150 people on board in March, according to recently published documents. A detailed analysis of the two black boxes confirmed the suspicion that Andreas Lubitz, the co-pilot of the notorious Germanwings Airbus 320, deliberately steered the plane into a mountain. 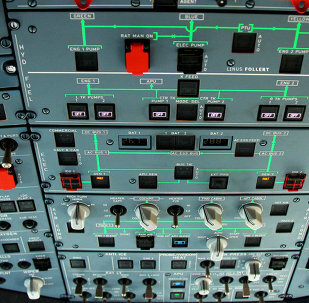 Pilots around the world have expressed doubts over the so-called four-eyes rule which many airlines rushed to bring in following the Germanwings crash in which co-pilot Andreas Lubitz allegedly locked the pilot out of the cockpit and flew the plane into an Alpine mountain. Lufthansa medical personnel failed to inform the German Federal Aviation Office, that co-pilot of the crashed Germanwings flight had severe depression. 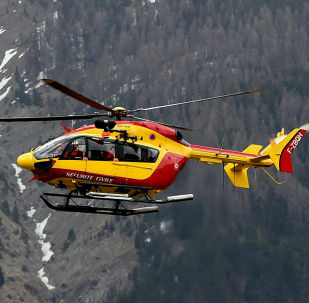 According to French prosecutors, operation to retrieve human remains from the Alpine ravine after the crash of a Germanwings airliner has finished. 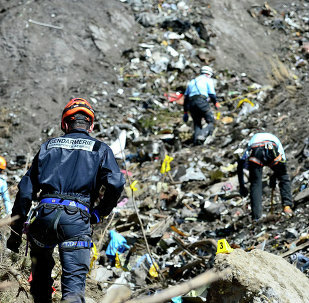 Data from the Airbus A320’s second black box confirms the hypothesis that the co-pilot deliberately crashed the Germanwings aircraft into the French Alps, France’s BFMTV reported on Friday, citing a civil aviation expert summary. The second black box from the Germanwings Airbus A320 plane that crashed in the French Alps en route from Barcelona to Dusseldorf on March 24 has been found Thursday, according to prosecutors. German government will launch a task force to look into cockpit door mechanisms after last week's Germanwings flight crash, Minister of Transport Alexander Dobrindt said at a press conference Thursday. 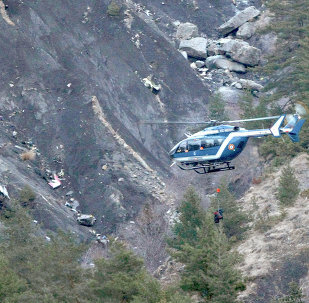 Germanwings co-pilot Andreas Lubitz, suspected of deliberately crashing an A320 airliner filled with passengers into a mountain in the French Alps, suffered from panic attacks and temporary losses of vision, German daily Bild reported Thursday citing Lubitz' medical records. 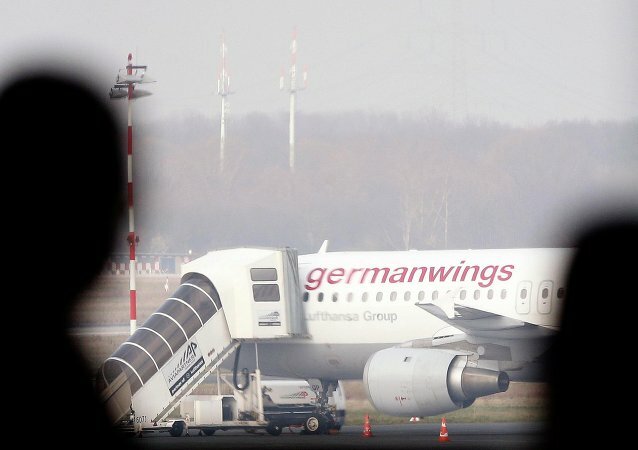 European pilots have expressed concern over the investigation into the crash of Germanwings flight U4-9525 en-route from Barcelona to Düsseldorf on March 24, saying the French prosecutor's role is hindering a proper accident probe. All victims of the Germanwings Airbus A320 crash will be identified by the end of the week, President Hollande said citing the French Minister of the Interior. Lufthansa is likely to pay €275 million to the families of those killed in the plane crash, operated by its low-cost subsidiary Germanwings. 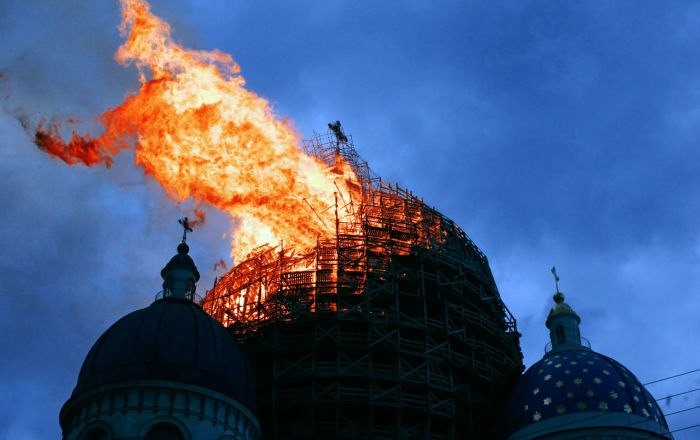 The amount reportedly exceeds usual insurance compensation amounts by two times. 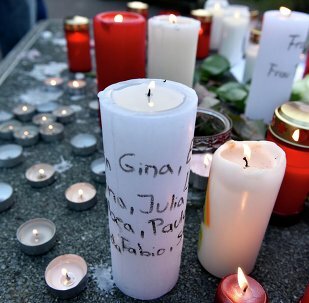 German prosecutors said Monday the crash co-pilot showed suicidal tendencies years ago, not recently.